Southern California design talent Lissa Zwahlen Thoeny, founder of Roxy, has launched Aquarius Cocktail, a Cali-cool brand of washed silk basics. In keeping with her signature casual sensibilities, honed from working with West coast brands such as Roxy for Quiksilver, Mossimo, Seaton and Alternative Apparel, she has elevated basics to a polished-cool. 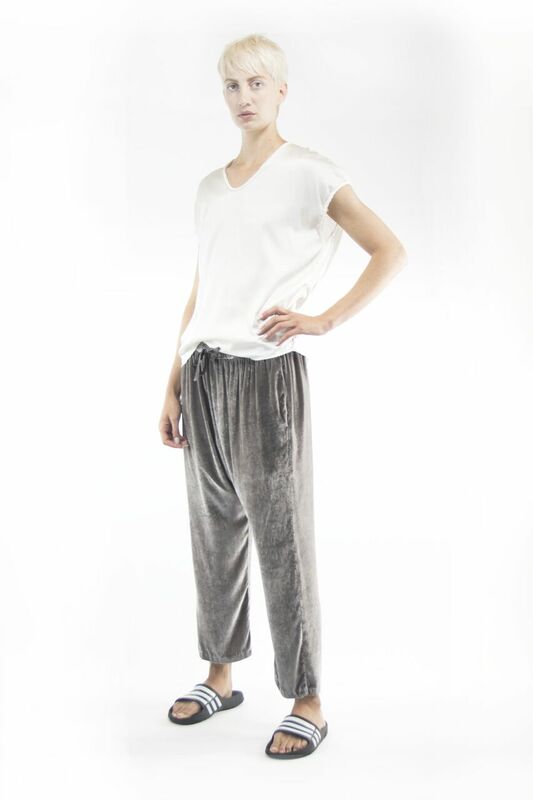 Needing to up her own game of daily dressing, Zwahlen-Thoeny created easy pieces from laundered silk, referencing iconic styles that are staples of any t-shirt wardrobe. The collection of t-shirts, tanks, v-necks, sweatshirts and pants are all cut from silk that was developed to mimic the way an old t-shirt feels and fits. Raw edges, frayed jersey bindings and vintage machine stitching add irreverence to the precious nature of the fabric. Colored in neutrals and soft textural dyes, the styles are ageless and can be worn throughout every season. Priced from $200 - $400, the Fall 2017 collection is available now at select boutiques and online at aqcclothing.com. Aquarius Cocktail is the work of Roxy founder, Lissa Zwahlen Thoeny. A collection of elevated basics in their most minimal form: simple, but carefully crafted silhouettes. The collection has been carefully designed to layer into any existing wardrobe, adding an easy sophistication to daily dressing.